Merrilly, the 41' sloop of Annapolis newspaper publisher and former diplomat Philip Merrill was found last Sunday drifting off Annapolis, MD without her owner aboard. Though the search continues, The Washington Post recently ran an editorial that reads like an obit. Merrill set out solo last Saturday under sunny skies and winds gusting to 25 knots. By all accounts he was a superb yachtsman but as we all know, being alone on a sailboat means that a mistake can be fatal. 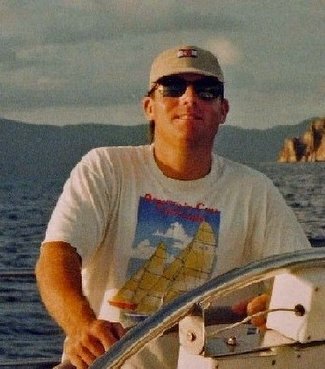 The loss is very sad news for Merrill's family and friends but a good reminder to all of us who venture out on the water by ourselves...every task - be it minor like the turn of a winch or major like putting in a reef - undertaken routinely with crew aboard must be accomplished with safety top-of-mind when sailing alone.